Saint Tirumangai Azhwar had sung the glory of Lord of the temple forming part of the celebrated Naalayira Divya Prapandham. Chithirai Tamil New Year Day falling almost on April 14; Vaikasi Brahmmotsavam in May-June; Aadi Perukku and Aadi Pooram and Jestabishekam in July-August; Gokhulashtami in August-September; Navarathri Pavithra Utsav in September-October; Aipasi Manavala Mamunigal utsav on Moola star day in October-November; Tirukarthikai in November-December; Margazhi Vaikunda Ekadsai in December-January; Makara Sankranthi-Pongal falling almost on January 14; Masi Shukla Paksha Ekadasi in February-March and Panguni Uthiram in March-April are the festivals celebrated in the temple. This is one of the 108 Divya Desas belonging to Lord Perumal blessing the devotees in reclining posture, His face at the south direction. 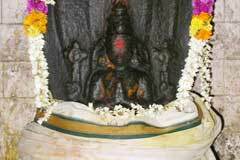 Perumal granted Darshan to Sage Vyakra Pada – Sage with legs of a tiger-Puli Kaal Munivar in Tamil- as a Balaka-little boy. Hence the place is named Tiruchiru Puliyur. 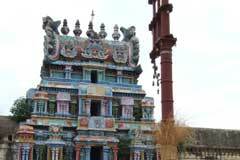 Sri Arulmakadal Perumal Temple, Thiruchirupuliyur, Tiruvarur Dist. Lord Krupasamudra Perumal graces the devotees from the sanctum sanctorum under the Nandiyavardhana Vimana. 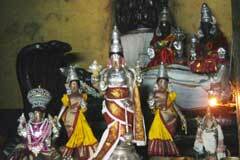 Sages Vyakrapada and Vyasa Bhagwan and the divine serpent Adisesha were granted darshan by Lord Perumal in the temple. 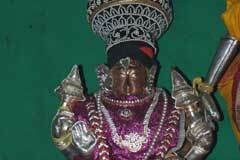 Majority of the devotees seek child boon from Lord Perumal. 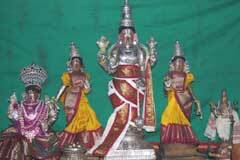 Women concerned about the longevity of their husbands and their Mangalya stability pray here. Devotees facing various adverse aspects of the planets and those facing prolonged illness, mental problems are advised to pray to Perumal for relief. It is the staunch belief of the devotees that their prayers would bring them the relief they wish. Devotees perform Tirumanjanam to Perumal and offer vastras. 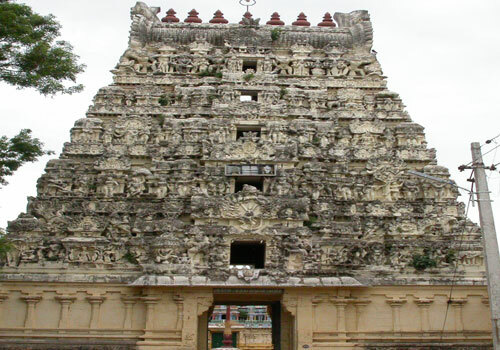 Of the 108 Divya Desa Tirupathis of Lord Perumal, only Sri Rangam and the Tiruchirupuliyur being the 11th in the line temple are facing south. Perumal graces in a full long form in Sri Rangam. He appears as a little boy reclining in this temple. Sages Vyakrapada and Patanjali, devotees of Lord Nataraja are in the very sanctum sanctorum with Perumal here. It is said that sage Vyakrapada prayed to Lord Nataraja (Shiva) for years seeking salvation. 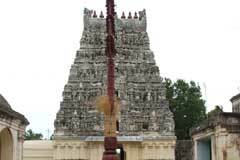 He was advised by Lord Shiva to go to this place and pray to Perumal to realize his wish. 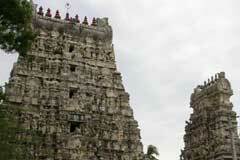 Lord Perumal granted salvation to the sage with a place in His sanctum itself. 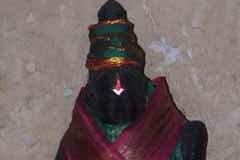 It is noteworthy that Shiva devotee Sage Patanjali (Adisesah) and Vyakrapada are with Perumal in the sanctum. Sage Kanva also had darshan of Lord in this place. There is a separate temple for Adisesha also here. 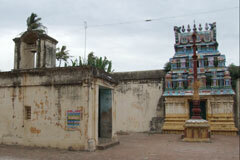 As sage Vyakarapada-Pulikkal Munivar in Tamil-worshipped here and as Perumal granted darshan as a Balaka-little boy, the place is named Tiruchirupuliyur. There once existed a bitter enmity between Garuda and Adisesha. The latter came to this place and worshipped Lord to end the enmity between them. Lord granted darshan to the divine serpent on Masi full moon fortnight Ekadasi and took him as His bed –Anantha Sayanam. Kollumangudi is 35 km from Mayiladuthurai. Bus facility is available between these two places via Peralam. Tiruchirupuliyur is 3 km from Kollumangudi.